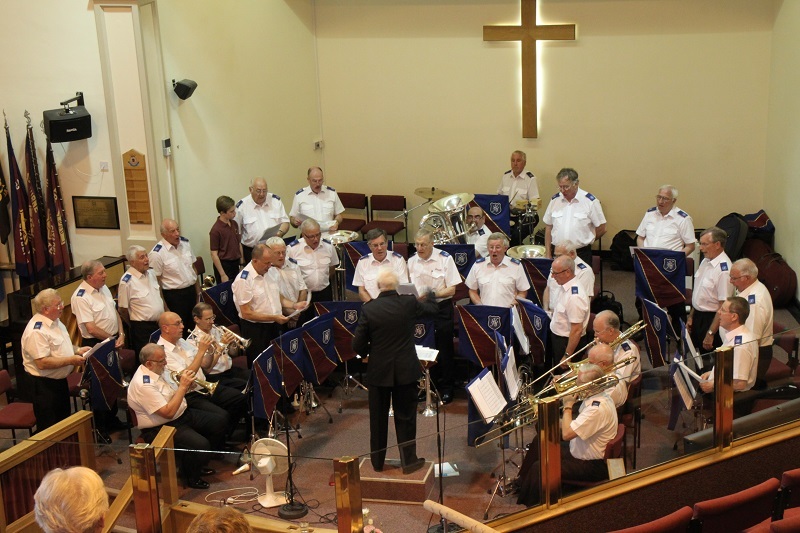 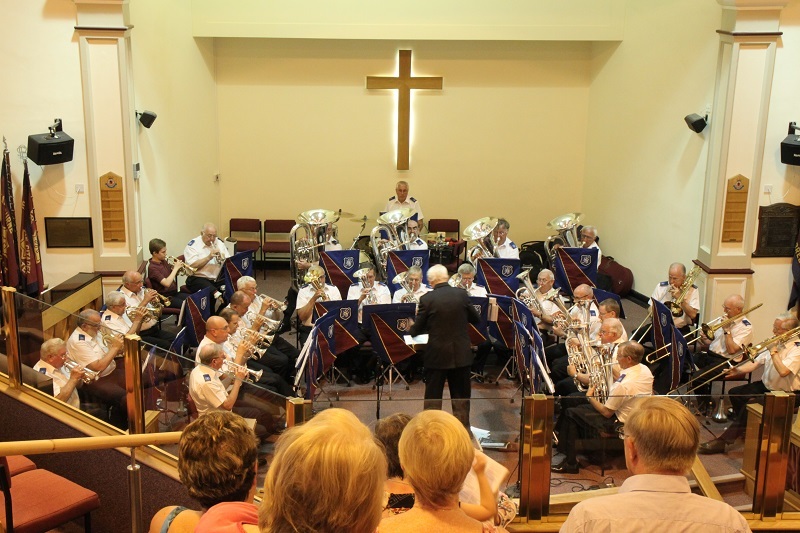 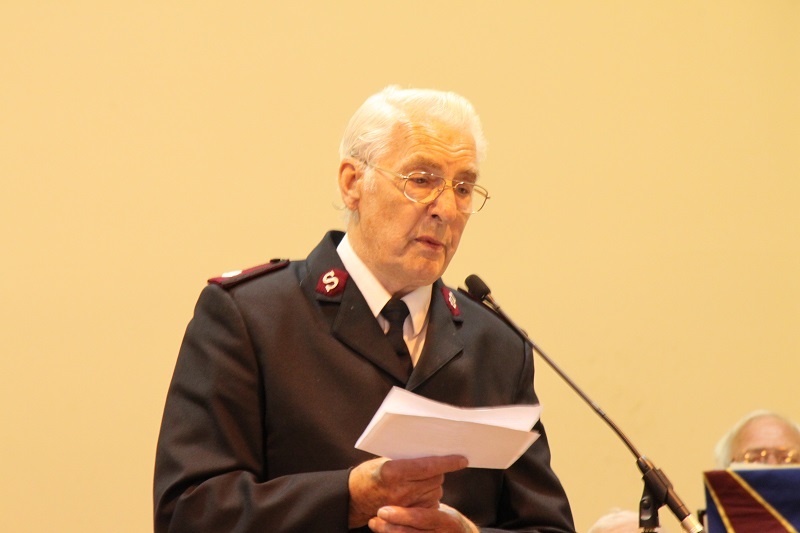 From the opening march ‘Montreal Citadel’ to the closing march ‘Mighty to Save’ the South London Fellowship Band (Major George Whittingham) provided a varied and much appreciated programme on their 17th consecutive visit to Eastbourne Citadel. 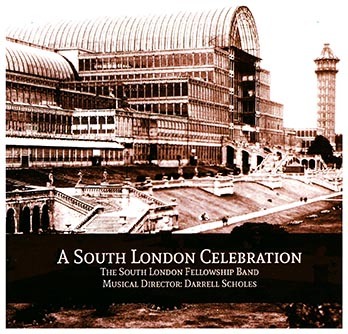 Items included the selections ‘To God be the Glory’, ‘A London Celebration’ and ‘Melodies of Dvorak’ and a stirring arrangement for male voices of ‘Sound the Battle Cry’ adding to the variety of the programme. 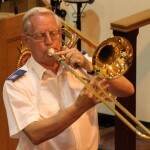 Alan Moyse (Cornet), Adrian Horwood (Euphonium) and Maurice Horwood (Trombone) each gave sensitive and technical playing in their solos ‘I’d Rather Have Jesus’, ‘Euphony’ and ‘Hold Thou My Hand’ respectively. 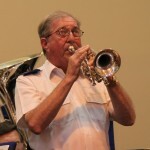 During the evening tributes were paid to Band Members Don Middleton (Eastbourne Citadel) and Bram Chestney (Hadleigh Temple), both recently promoted to glory, by the playing of the selection ‘The Compassionate Christ’ and ‘To a Wild Rose’ favourite items of the two well loved, respected and sorely missed members of the band. 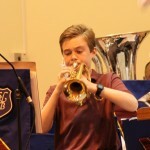 For many though the highlight of the evening would have been the competent and scintillating playing of Thomas Nielsen (12) in the Cornet solos ‘Hosanna’ and ‘Zelda’. 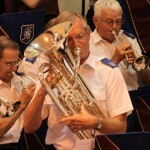 On a warm, balmy summer’s evening the SLFB once again gave an appreciative audience an evening to remember.